The fastest way to organize with impact. The coordinated system of a reinforced Table of Contents page and matching preprinted tab dividers makes referencing easy while delivering a professional look. Table of Contents page is double-sided for use in portrait or landscape format. Customize the Table of Contents page by adding section titles, graphics, or a company logo. Extended tab reinforcement and double-sided hole reinforcement on heavier weight paper prevents tearing, even with frequent use. Easy to customize with free templates and designs using Avery Design & Print (avery.com/print). For laser and inkjet printers. 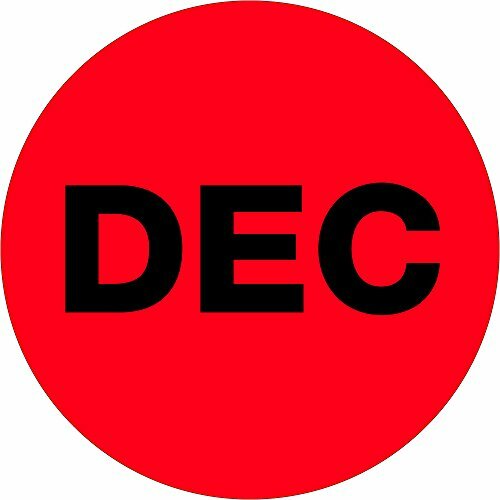 2 inch x 3 inch - "dec" (Fluorescent Red) months of the year labels. Date and organize inventory with these pressure sensitive labels. Table top dispensers available stock numbers Bsl9506, Bsl9512 and Bsl9518. Wall mount dispensers available stock numbers Bldm300, Bldm450, Bldm850 and Bldm1250. 500 per roll. 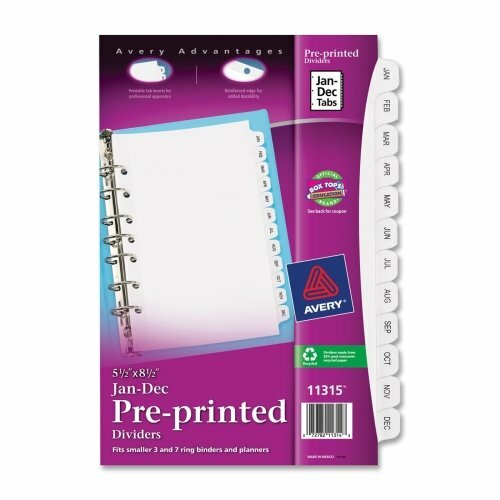 Plastic dividers with preprinted monthly tabs organize documents quickly and easily. 12 preprinted tabs are labeled with the three-letter abbreviation on the back and front for quick referencing and retrieval. Three-hole punched edges make the dividers ready for insertion into standard, three-ring binders. 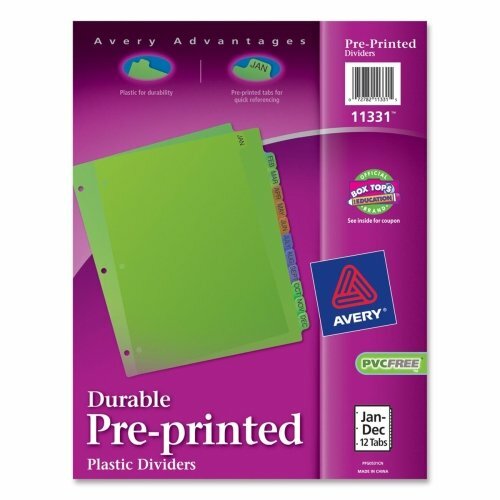 Durable translucent plastic is ideal for frequent use and makes page turning easy. Plastic is PVC-free. Assorted colors include blue, green and dark orange. 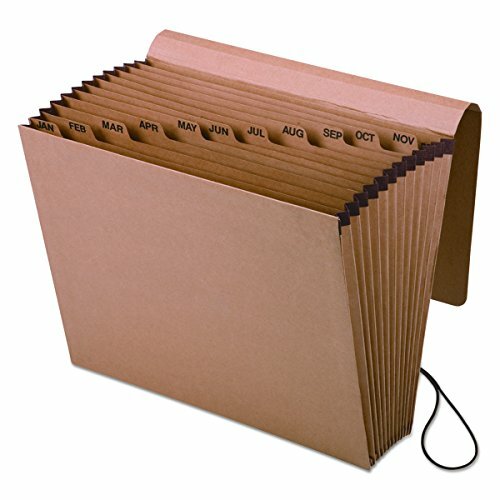 Dividers with preprinted monthly tabs organize documents quickly and easily. 12 preprinted tabs are labeled with the monthly, three-letter abbreviation for quick referencing. Seven-hole punched edges make the dividers ready for insertion into smaller three-ring and seven-ring binders. One side features reinforced edges for added durability and frequent use. 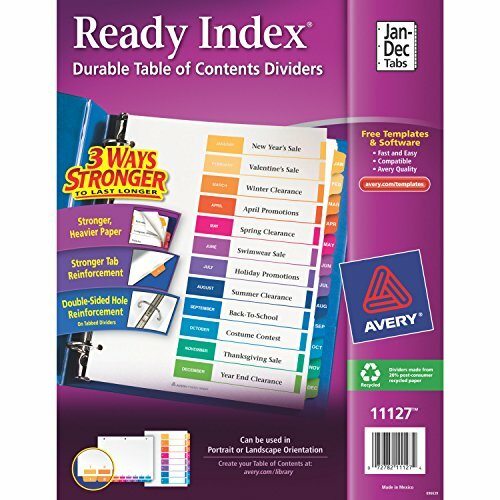 Protect vital documents with this durable, long-lasting expandable file. Double thick front and back panels stand up to active use. Gusset tops are reinforced with Tyvek® tape to prevent ripping and tearing. Preprinted dividers. 7/8" capacity per pocket. Kraft stock. 3 inch x 6 inch - "dec" (Fluorescent Red) months of the year labels. Date and organize inventory with these pressure sensitive labels. Table top dispensers available stock numbers Bsl9506, Bsl9512 and Bsl9518. Wall mount dispensers available stock numbers Bldm300, Bldm450, Bldm850 and Bldm1250. 500 per roll. 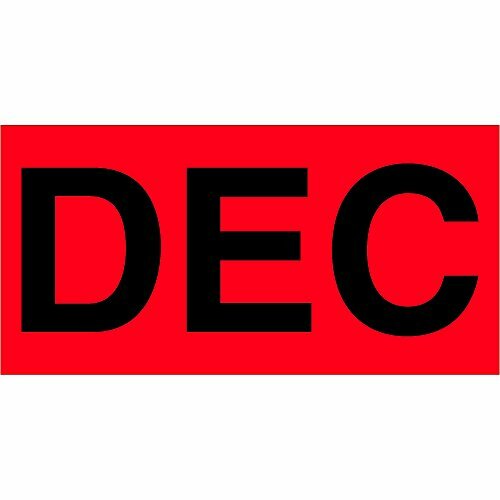 3 inch x 6 inch - "DEC" (Fluorescent Red) months of the year labels. Date and organize inventory with these pressure sensitive labels. Table top dispensers available stock numbers SL9506, SL9512 and SL9518. Wall mount dispensers available stock numbers LDM300, LDM450, LDM850 and LDM1250. 500 per roll. 2 inch Circle - "dec" (Fluorescent Red) months of the year labels. Date and organize inventory with these pressure sensitive labels. Table top dispensers available stock numbers Bsl9506, Bsl9512 and Bsl9518. Wall mount dispensers available stock numbers Bldm300, Bldm450, Bldm850 and Bldm1250. 500 per roll. 1 inch circle - "DEC" (Fluorescent Red) months of the year labels. Date and organize inventory with these pressure sensitive labels. Table top dispensers available stock numbers SL9506, SL9512 and SL9518. Wall mount dispensers available stock numbers LDM300, LDM450, LDM850 and LDM1250. 500 per roll. 1 inch Circle - "dec" (Fluorescent Red) months of the year labels. Date and organize inventory with these pressure sensitive labels. Table top dispensers available stock numbers Bsl9506, Bsl9512 and Bsl9518. Wall mount dispensers available stock numbers Bldm300, Bldm450, Bldm850 and Bldm1250. 500 per roll.